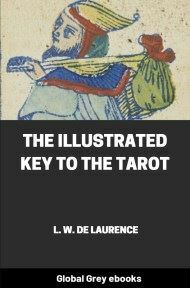 From the Book cover: The Veil Of Divination Illustrating The Greater And Lesser Arcana Embracing The Veil And Its Symbols. Secret Tradition Under The Veil Of Divination. Art Of Tarot Divination. Outer Method Of The Oracles. The Tarot In History. Inner Symbolism. The Greater Keys.